Find out more about Lincolnshire sustainability and transformation partnership (STP) including details of its population size, constituent organisations and priorities. Neighbourhood teams will focus on prevention and proactive care, with several services in the community coming together to reduce unnecessary hospital admissions. Community hospitals and primary care hubs will be part of the neighbourhood team network in delivering care in the community and closer to home. Keeping people well and healthy by raising awareness of the importance of self-care and leading healthy, independent lives. 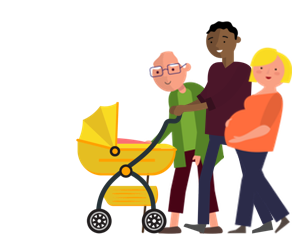 Social prescribing will help people access services to support them in their own personal health and wellbeing and a directory of services will signpost people to useful community groups. Hospitals will primarily support those patients who require emergency or planned care. travel out of county for appropriate care. Which area does the STP cover? The following organisations are part of Lincolnshire STP. For individual contact details for these organisations, please see the NHS website.